This is a story that began with my attempt to find answers to my family history by means of searching for my mother’s ancestors. To my surprise, I found out that her parents had in fact both died within months apart in the early 1900s leaving behind five young children. One of who was my mother, who was also the grandchild of a couple who had interracial characteristics in their ancestry. 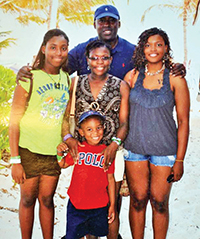 Because of these two tragic deaths and the fact that there were no family members able to care for all five children, my mother and her siblings were split up at a very young age. In addition, in searching for the places where many of my ancestors were buried, I discovered that burial sites were abandoned and in one case almost became a place where new construction would be built on. When I moved to Georgia, I was determined to find the answers to all sorts of questions that stuck with me regarding my family’s history. God willing, I was able to find out lots of information regarding my ancestors whose story was just about to disappear from existence. This was due to the fact that there were so many systemic issues in society during the 1800 & 1900’s and in the local community that it was extremely difficult to piece together all of the information regarding my African American lineage. However, I still felt that these peoples story deserved to be told. This is my story and it led me on an incredible journey as I attempted to solve many of the mysteries surrounding my lost generation. 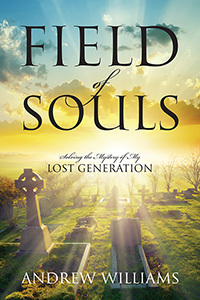 This book titled Field of Souls was inspired by the memory of Mildred Ponder and her family, and the places of burial for many of my ancestors which is what is now a preserved African American burial site located in Savannah Georgia known as the LePageville Memorial Cemetery.